Isabel Vinson is not your typical fashion model. A mother, a social activist, and an advocate for fair treatment of models, she defies convention. To view Vinson’s contest page, or to vote, visit miss.jetsetmag.com/vote-for/isabel-vinson. Voting ends on Dec. 10 at 2 a.m. PST. BRATTLEBORO—Don’t underestimate Isabel Marie Vinson. The tattoo-sporting mother-of-two model, laughs at modeling-agency types who tell her she’s fat, gets angry at photographers who Photoshop out her pores, and counts steampunk couture amongst her favorite fashions. And Vinson has set her sights on the cover of Jetset Magazine, a glossy quarterly for the 1 percent. Vinson’s outfit of the day — ripped jeans, a T-shirt, and long-sleeved flannel shirt — screams Vermont casual, not stereotypical model. Vinson, 32, loves modeling, which she has called her career for 17 years. She currently does four shoots or so per week. “It’s what makes me happy,” she said. In her portfolio, the photos display her wearing elegance with a hint of edge. She loves being creative and pretending she is someone else for a day. Wearing $7,000 gowns or other clothing by some of her favorite designers — like Ichigo Black, the artist behind the steampunk clothing line Till Death Bridal — doesn’t hurt either. “Yes, I am a princess,” she laughs. Vinson gives the impression that she takes her work seriously but not herself. She laughs, jokes, pokes fun, and fidgets in her seat. Vinson said she’s not gotten rich off of modeling, but has enough steady work to support herself and pay for the education of her two sons, who live with their father because she travels so much. “I travel a lot,” she said — and living in Brattleboro is okay for that lifestyle, she added, noting that almost any place, or airport she needs, is two hours away. She’d “hate to have to get a real job,” she said. A magazine for the 1 percent? Her everyday comfy jeans are a far cry from the cover of Jetset Magazine, which has featured people like Tom Cruise, Jennifer Lopez, Halle Berry, and Melania Trump. Readers of the quarterly magazine average household incomes of $5.3 million, according to Jetset’s information to its advertisers. In its annual cover model contest, the magazine selects one model from two parallel processes — one for the U.S., the other international — that narrowed the field to 51 finalists, one per U.S. state and the international candidate. That phase of the contest — the eighth — ended Oct. 28, with Vinson representing Vermont. As of Nov. 9, she was in the 16th slot and had surpassed 1,100 votes. She needs to stay in the top 20 to advance to the next round on Nov. 26. Miss Jetset 2015 will appear on the cover of Jetset Magazine’s first issue of 2016. The contest offers a purse of $100,000 ($50,000 cash plus $50,000 in other prizes). Winning Miss Jetset 2015 is less about prestige for Vinson — the contest is, in the end, another type of gig. It’s about giving back, she said. Okay — and it’s about winning. “I just really want to win,” she said. If selected for the cover, Vinson plans to donate 25 percent of her winnings to the Boys & Girls Clubs of Brattleboro and to Youth Services. “Because honestly, if I didn’t have those places as a youth, I’d be a terrible person,” she said. A lot of people in town still know her as the crazy 15-year-old. “I’m not,” she said. Vinson, who spent part of her childhood at Moore Court, a low-income apartment complex, said that as a teen she had started to hang around with the “wrong people.” She described herself as angry and said she started to drink too young. Her mother and two of her siblings still live in Brattleboro. Another sister, Christina, serves in the military, and is stationed in Hawaii. “She’s kind of the most amazing person I know,” Vinson said. Youth Services paired Vinson, then 15, with a peer mentor, Nika Feldman. When Vinson met her, Feldman had hot pink hair. Vinson thought she was the coolest. “This is my hero,” she said. She remembers feeling self-conscious during one swimming trip in that era. She hid her body with a huge T-shirt over her swim suit. Vinson remembers Feldman looked at her. Feldman, reached via Facebook, was delighted to learn about Vinson’s success. When Vinson was 15, she befriended and modeled for local photographer Ron Apuzzo, who didn’t shy away from her teenaged anger. At 16, Vinson signed with an agency in Keene, N.H. She did campaigns for businesses like De Beers Jewelry, True Necessities, and Claire’s. The outspoken Vinson also participated in the public breast feeding sit-in in Brattleboro a couple of years ago. And she posed for a photographer who shot artistic nudes of her in the shadow of the Vermont Yankee nuclear power plant. “I got to do really cool things,” she said of those early shoots. Jetset contacted Vinson about entering the Miss Jetset contest. She said that the magazine personnel told her she had received more than 20 nominations. “Wait? What?” was her reaction. She does not know the modeling agencies or photographers who nominated her for the contest, which started mid-September. She survived the state run-off phase, which lasted until mid-October. Vinson described the contest as stiff competition, noting that she doesn’t have the money or fan base to purchase votes, as some of the other contestants do. 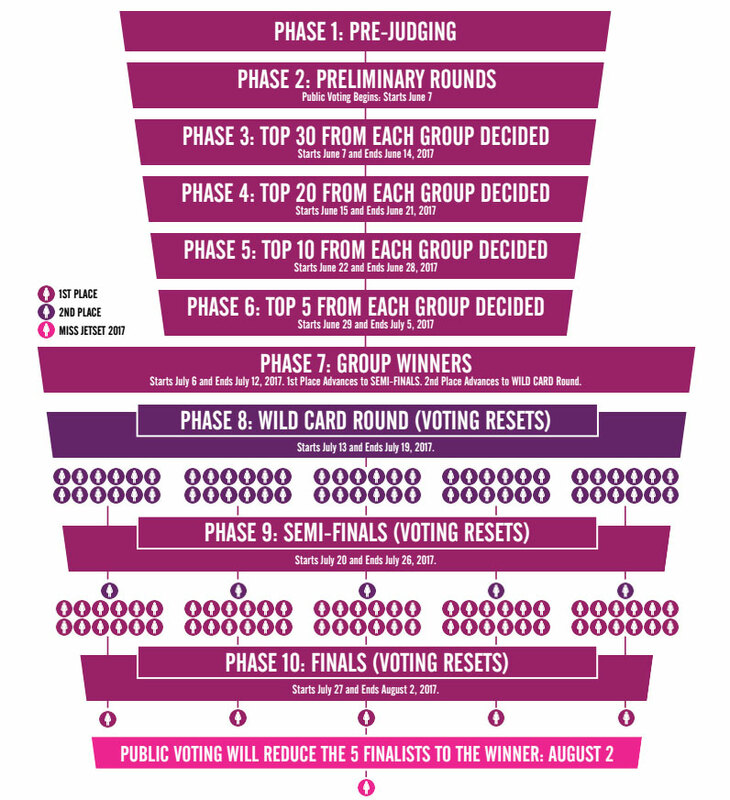 Jetset allows voters to purchase votes for their favorite contestants through its website. One vote costs $1 with a maximum purchase of 500 votes per day. According to Vinson, most of the voting happens through Facebook, where the act of sharing a photo of a contestant will give one a free vote. Mooi serves to help new models receive training and support, said Vinson. The agency takes a percentage off the top of the jobs it gets for its 34 models. It does not, however, charge any fees for membership, as some less-reputable agencies do, she said. Mooi’s contract is also non-exclusive, so models are free to look for their own gigs as well. While Vinson said she has worked with a number of incredible photographers, others hardly respect the models they work with. At 18, Vinson said, she went to a shoot for a photographer who exposed himself. It’s traumatizing, she said. She left the shoot questioning herself. Did she do something wrong to make the guy think what he was doing was okay? With 17 years worth of photo shoots under her belt, Vinson said she’s better at recognizing the warning signs. She said she wants to make sure new models don’t “get abused by scummy photographers” and instead find legitimate, paid work. Vinson, who said some purported “photographers” try to molest models, has no patience for such behavior. She keeps a “perv list” of photographers, and she accompanies new models to shoots. She also gets angry at photographers if they airbrush her photos too much. Modeling agencies have told the 5-foot-6, 125-pound Vinson, a proud size 7, that she’s fat. Originally published in The Commons issue #331 (Wednesday, November 11, 2015). This story appeared on page A1.